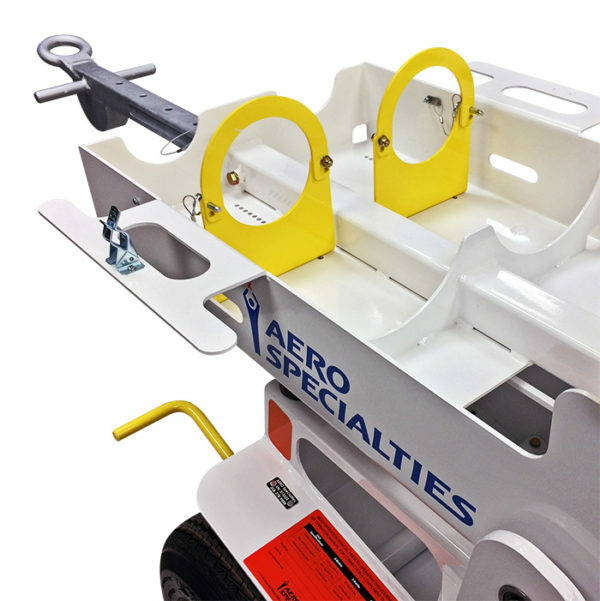 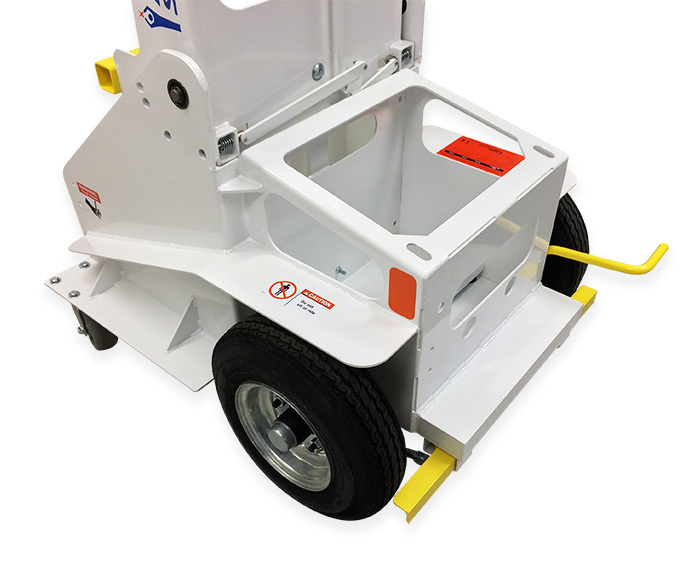 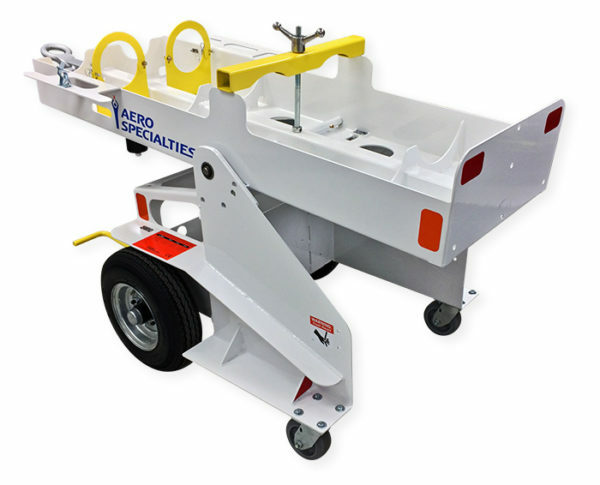 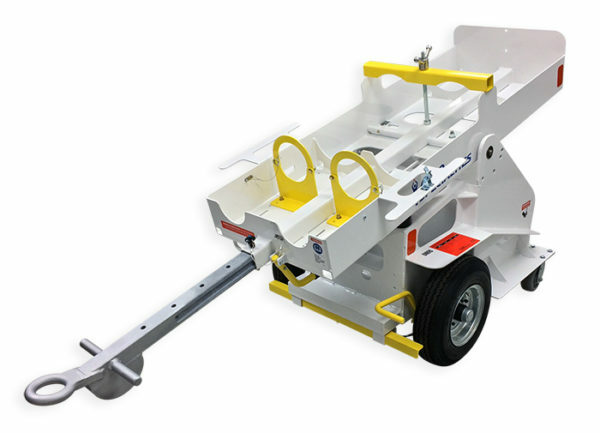 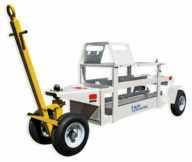 This tilting, towable, and heavy-duty cart is designed for remote (ramp) or in-hangar use. Compact size, low-profile, booster-capable cart. 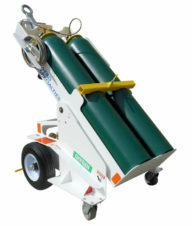 Bottles load vertically, making loading and unloading a single person job. 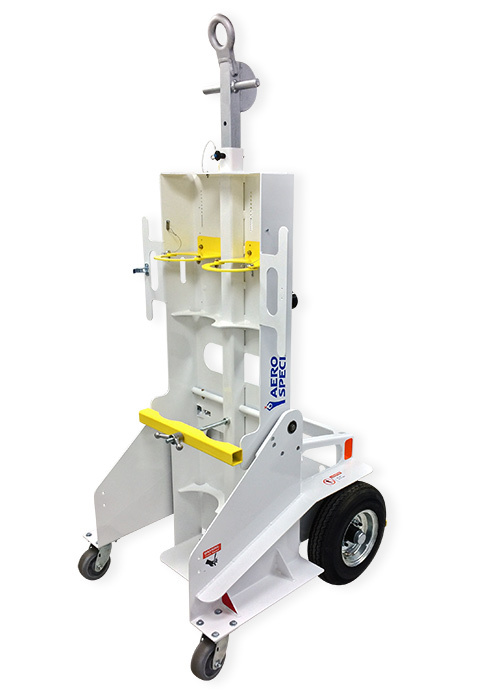 Indexed locking platform allows bottles to lock in multiple positions depending on application. 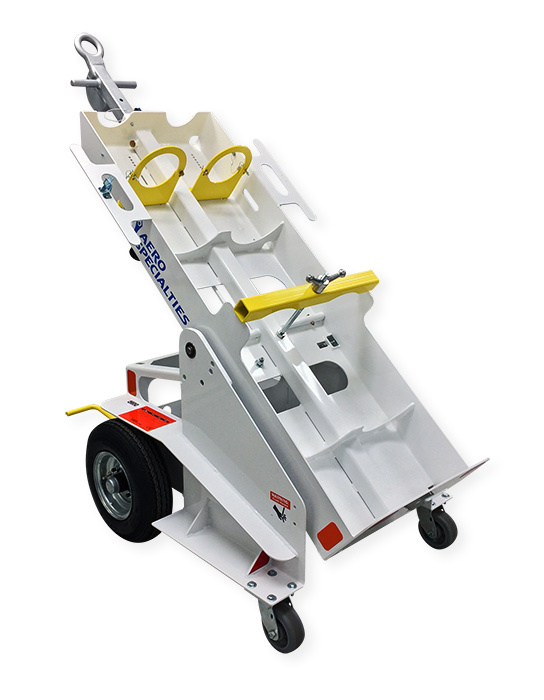 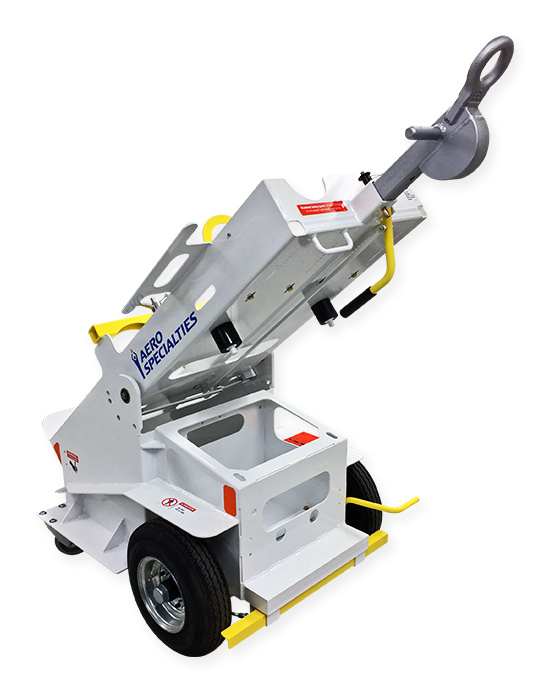 Pneumatic tires and front swivel casters (casters do not contact ground while towing) allow for easy maneuverability by hand as well as providing superior stability while towing. 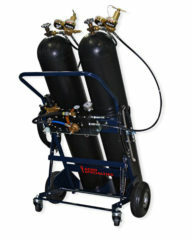 Ample room for booster, regulators, and hoses.